10.000 Moving services. And still counting..
Professional reliable moving services in Belgrade Serbia. More than 25 years in Bussines..
Small bussineses . low firms, offices (from 25 to 150 m ) 69-349 € . Moving tips for novice movers..
"They did job over the weekend. On monday was ordinary working day for us. Professionaly done." Beyond our expactition . Thanks again"
More then 10.000 happy clients. We will do moving for you to! Professionals. 25 years of experience. More than 10.000 moving are done. Keep costs down with our long distance moving services! We will give you the most fun move at the lowest possible cost. 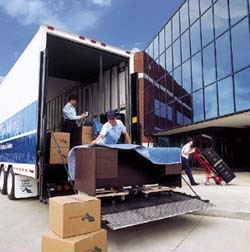 Empire Movers & Storage is dedicated to providing you with a lower final bill for your long distance moving services. The more information you provide, the better we are able to prepare and keep costs down. There are no hidden charges – the costs of long distance moving are within your control. We did move our clients on all 6 continents. Moving agency Belgrade Rectavia Free quote. 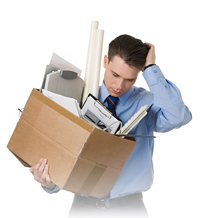 Moving with non establish moving company, who give you just GOOD CHEAP PRICE is not good option. We are movers Belgrade . Belgrade Serbia moving industry - residential moving is considered to be the most difficult of moving services! 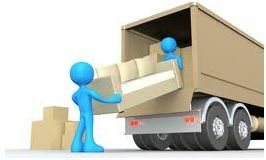 Rectavia belgrade movers is a residential moving company offering the best moving services in Serbia. Our employees are trained professionals, and will take the utmost care when handling your belongings. All goods are wrapped and protected before being removed from your home. 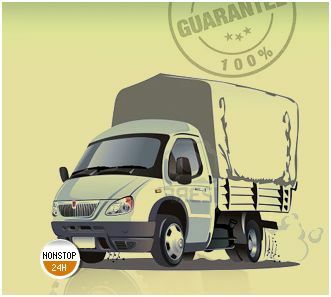 We guarantee your belongings arrive intact and on time. There is never a charge for the blankets and tape we use to protect your furniture during the move. Moving a commercial enterprise is a complex operation, that’s why Rectavia Belgrade Movers is the right commercial moving company for your business' relocation process. It requires identifying the customer's needs, planning to satisfy those needs., while mustering the necessary men and equipment to handle the job according to the timetable. Through lengthy experience in moving laboratories, hospital departments, banks, libraries, computer companies, law offices, multi-storey office buildings and other businesses, Rectavia Movers Belgrade has developed a wide range of methods, equipment and services that handily fulfill the requirements of a professional commercial moving company. Every commercial move includes a binding price well in advance in order to protect the moving company from any "surprises" that may occur on the day of the move. It is very important for us to maintain a fair price for our customers even though the relocation itself can take long hours or even days. JTI (Japan tobaco international), Informatika ad, ART tv, Phenix pharma, Nubens group, Ataše Nemačke ambasade, Ambasada Republike Alžir,IRN-a,Fakultet dramskih umetnosti, Osnovna škola Svetozar Miletić, SDK-Narodna Banka Srbije, Mostogradnja , Heba Bujanovac, Robne kuće Beograd, Ekonomski institut Beograd, Prirodno matematički fakultet Beograd, Karaorman, Specialprodukt Beograd, Europalek, Stella trade, Wellz, Societegeneral banka, i mnogi drugi . What is total of 2 + 2 =? Agencija za Selidbe Beograd koja ce Vas preseliti brzo i profesionalno. Selidbe radimo vec vise od 20 godina, u Beogradu, Srbiji , inostranstvu. Medjunarodne selidbe, sa kompletnom uslugom, pakovanja stvari za selidbu u kutije, demontaza namestaja, iskljucivanje masina sa vodovodnih i elektricnih instalacija, kao i postavljanje istih na novoj lokaciji. Seobe Beograd su nasa specijalnost. Sve seobe koje smo radili (vise od 10.000 selidbi) su pazljivo isplanirane u zavisnosti od potreba klijenata. Nasi radnici su uvezbani za selidbe, i imaju veliko iskustvo. Ako trazite firmu za selidbe , nasli ste pravu. Recta Via.